Just below your cover image, on the right, you will see a small line of thumbnail images. These are for Facebook Apps. The defaults are Friends List, Photos, Likes, Notes, and Subscriptions — things you may well recognize from the left-hand navigation bar of the old Facebook. If you would like to add another app that you use, HootSuite or Flickr, for example, just click the small down arrow to the right of the app icons. You will see empty boxes with little “+” images in their upper right corners. Click the plus sign and select the app you want to place there — it’s as easy as that. While you can have several apps, only the first four will be visible without having to use a pull-down menu. The good news is that you are not restricted to the four apps that appear above the fold. The first one is Photos, and it cannot be moved from that position. The other default apps — Likes, Videos, Events, and Map — can be rearranged, allowing you to show them in whatever order you wish. You can also add in whichever custom apps you use, and arrange them in order as well. On an interesting note, many marketers are quite unhappy with this arrangement, as it has effectively negated custom landing pages. If you look closely, however, you will find that clicking on one of these apps will bring you to its page, a page with a direct link that can be copied and shared. Even so, it has been found that landing pages only accounted for 10% of your traffic before the changeover. Can I Deactivate Facebook Timeline? A quick search of Facebook will locate hundreds of results that claim to allow you to roll back your profile to its pre-Timeline state. They are bogus, pure and simple. 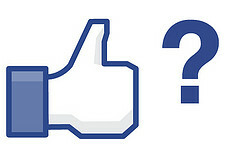 Titles like “Deactivate Facebook Timeline on your Profile” or “Deactivate Your FB Timeline” have attracted tens of thousands of “Likes,” hardly surprising since a CIO.com poll recently showed that 88% of Facebook users are unhappy with the new Timeline. These pages often share a number of traits that should set off the warning bells: most request that you “Like” its page before you can do anything or access any data. This is usually referred to as “like-gating,” and it does not always denote dishonesty. However, once “Liked,” they instruct you to click multiple “Like” and/or “Share” buttons, and choose friends to invite to the application or group. Most security experts will agree that you should steer clear of these page. There is no way to roll back to the blissful, pre-Timeline days, all they do is create a security risk. You should always check the official Facebook page and its official security page if you aren’t sure whether a page or meme is legitimate. The most alarming of these practices is the reported incidences of employers asking prospective or actual employees to reveal their passwords. If you are a Facebook user, you should never have to share your password, let anyone access your account, or do anything that might jeopardize the security of your account or violate the privacy of your friends. We have worked really hard at Facebook to give you the tools to control who sees your information. As a user, you shouldn’t be forced to share your private information and communications just to get a job. And as the friend of a user, you shouldn’t have to worry that your private information or communications will be revealed to someone you don’t know and didn’t intend to share with just because that user is looking for a job. That’s why we’ve made it a violation of Facebook’s Statement of Rights and Responsibilities to share or solicit a Facebook password. Image by birgerking, used under its Creative Commons license.